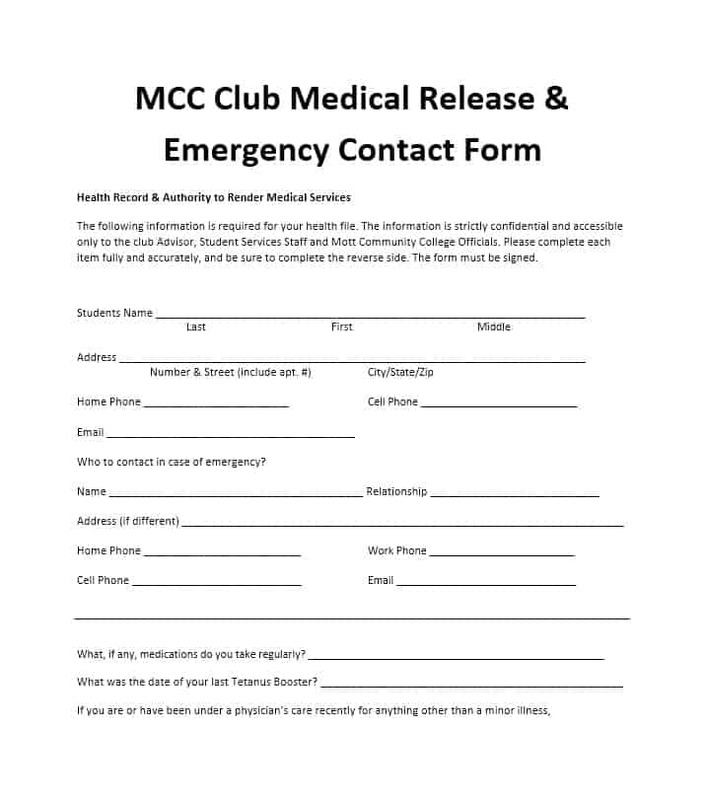 When it comes to medical forms, a form that you cannot afford to ignore is an emergency contact form. 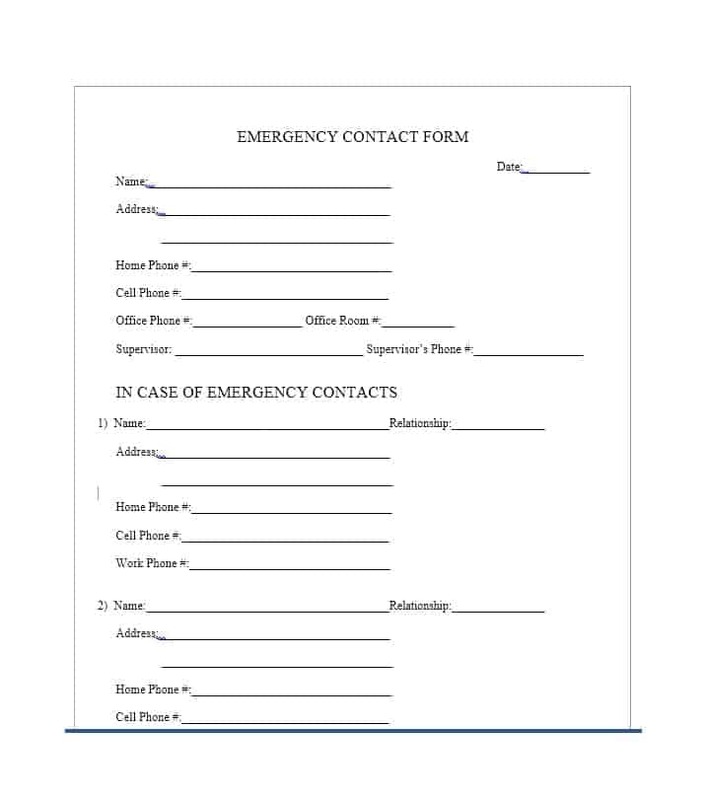 Only a few, if any, forms are more useful for your life than an emergency contact form. 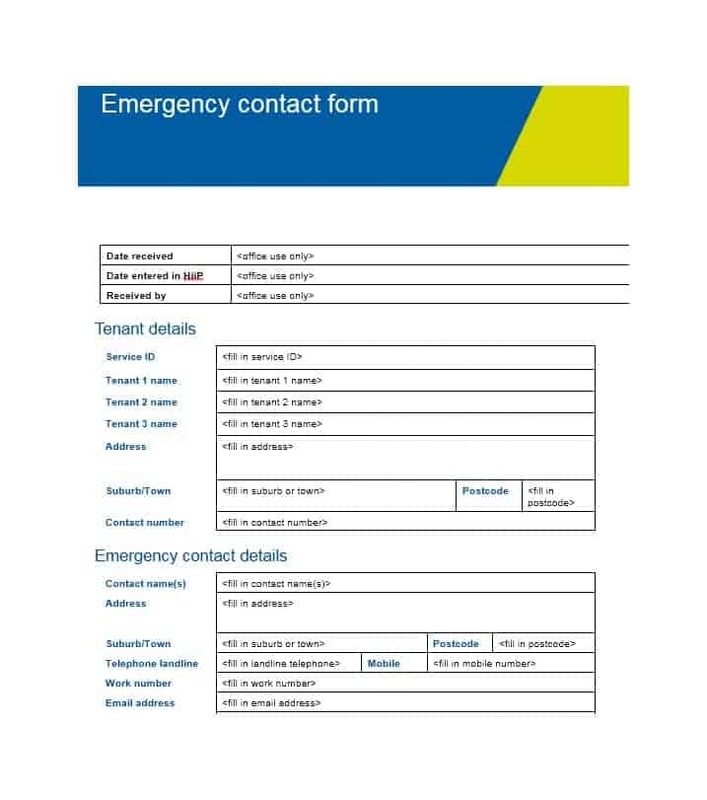 So what is an emergency contact form and what does it include? Let’s take a look. 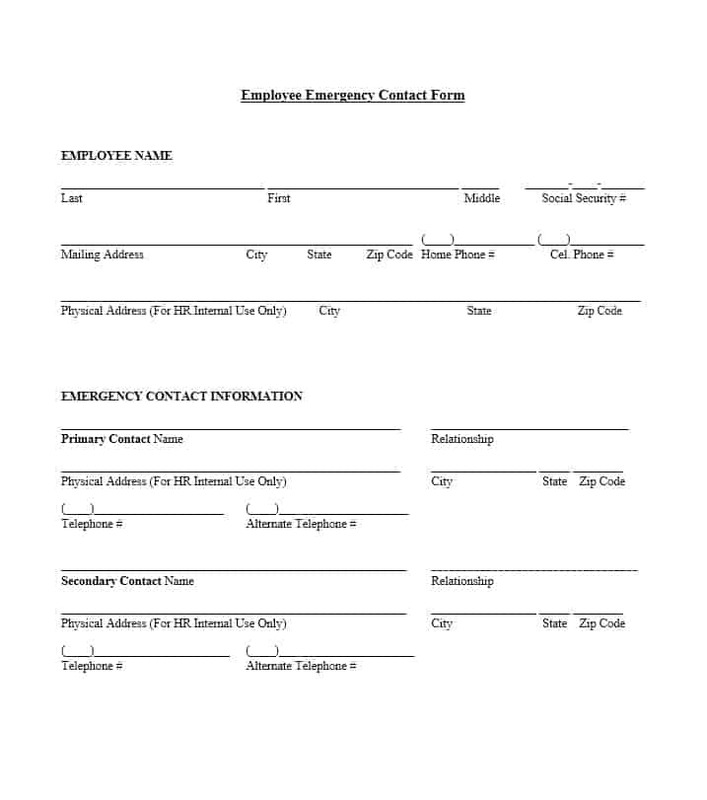 3 What should be included in an employee emergency contact form? 6 Who should you choose as your emergency contact? 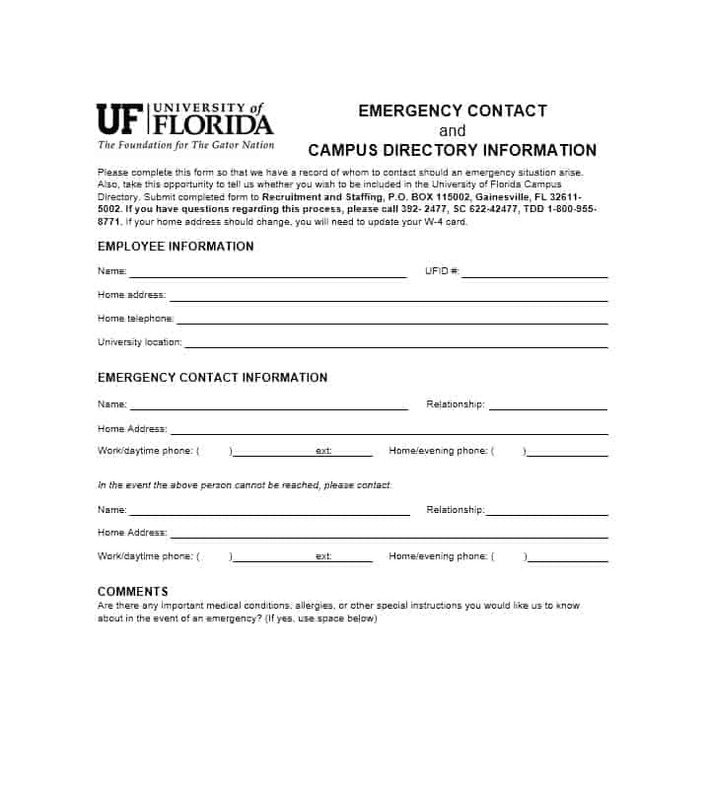 Typically required by organizations and educational institutes, an emergency contact form is used to get access to emergency contact information. 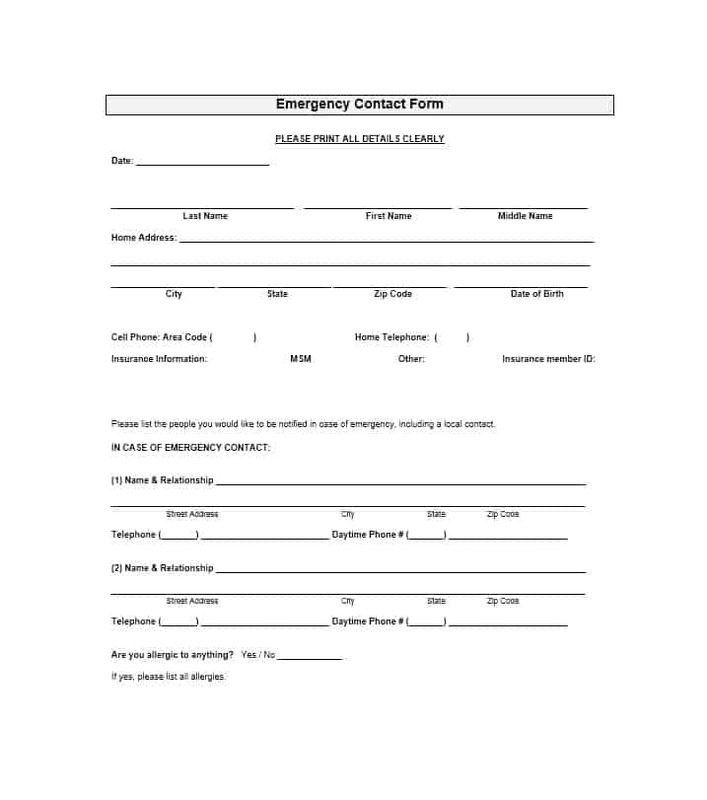 The purpose of this form is knowing who to contact in case someone suffers medical emergency. 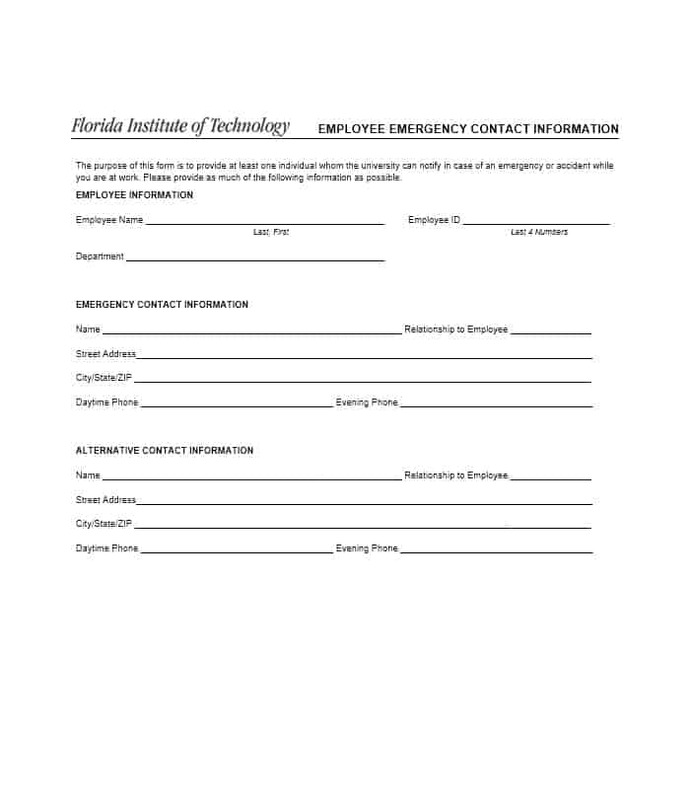 Generally, an emergency form includes the name, phone number and address of the person along with the contact information of two people the organization or educational institute is supposed to touch base with in case of an emergency. 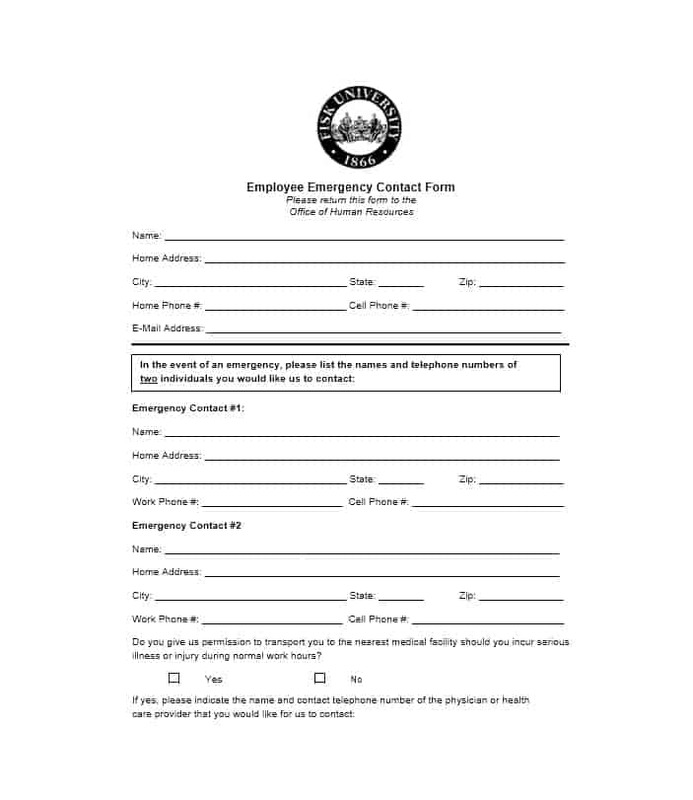 In addition to the above, the emergency form may include the name of the local hospital the person wishes to visit in the event on an emergency. 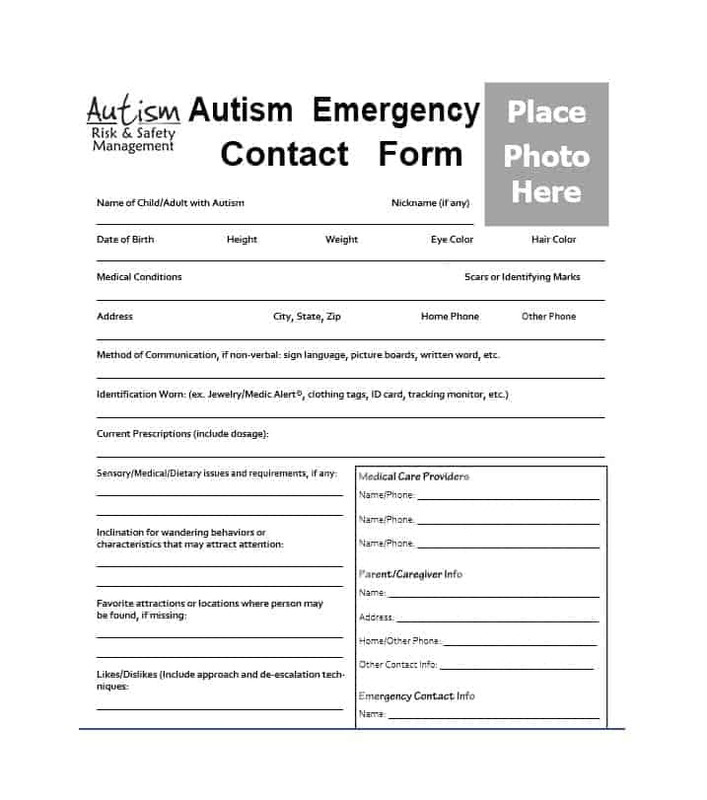 Though it is one of the most basic types of medical forms, an emergency contact form is a medical form that you must fill out and submit at all costs. 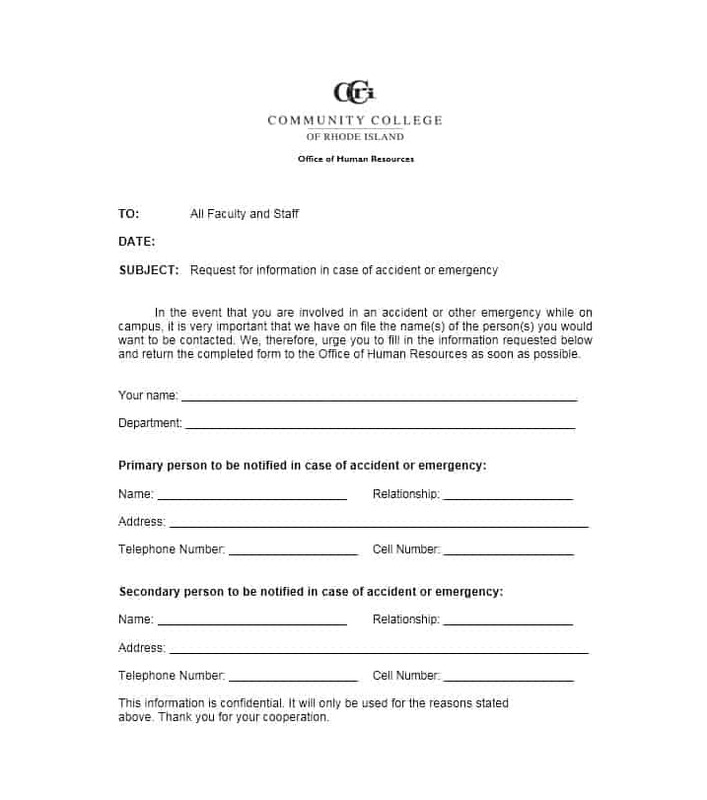 After all, it tells your organization/college who to contact in case you suffer a medical emergency which in turn increases your chances of surviving the emergency. 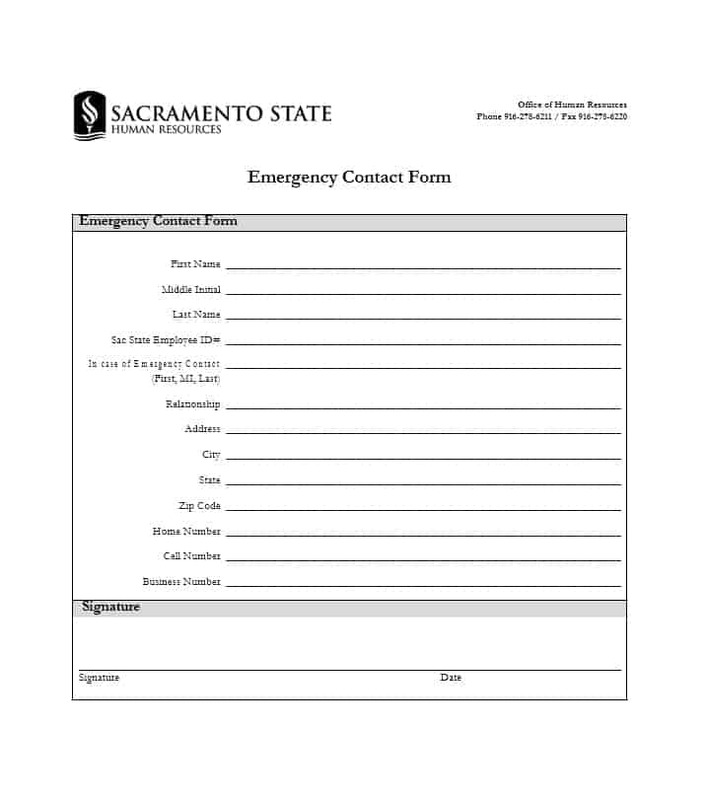 For this reason and more, completing and submitting an emergency contact form is crucial. 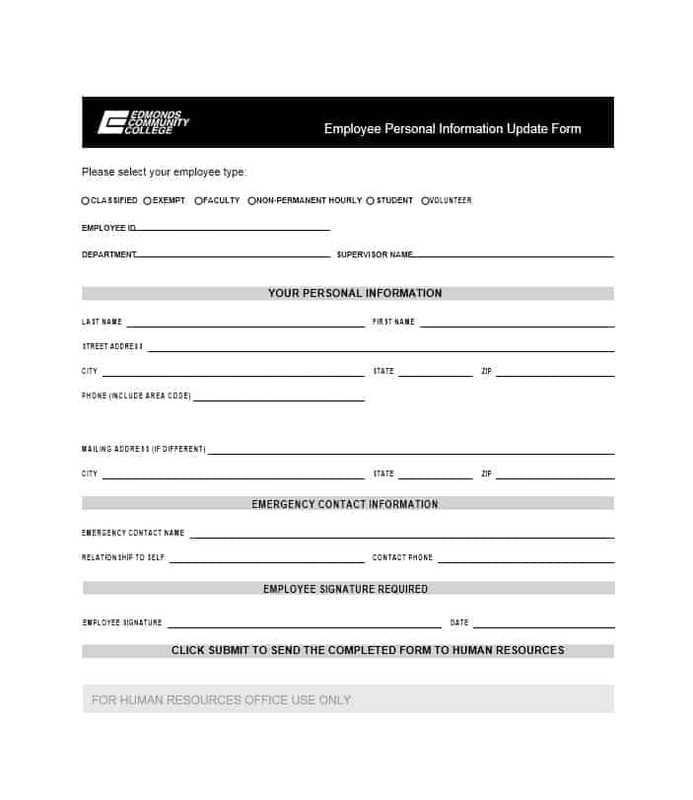 HR asking new employees to provide emergency contact information is not a new practice. In fact, this practice has existed for decades. 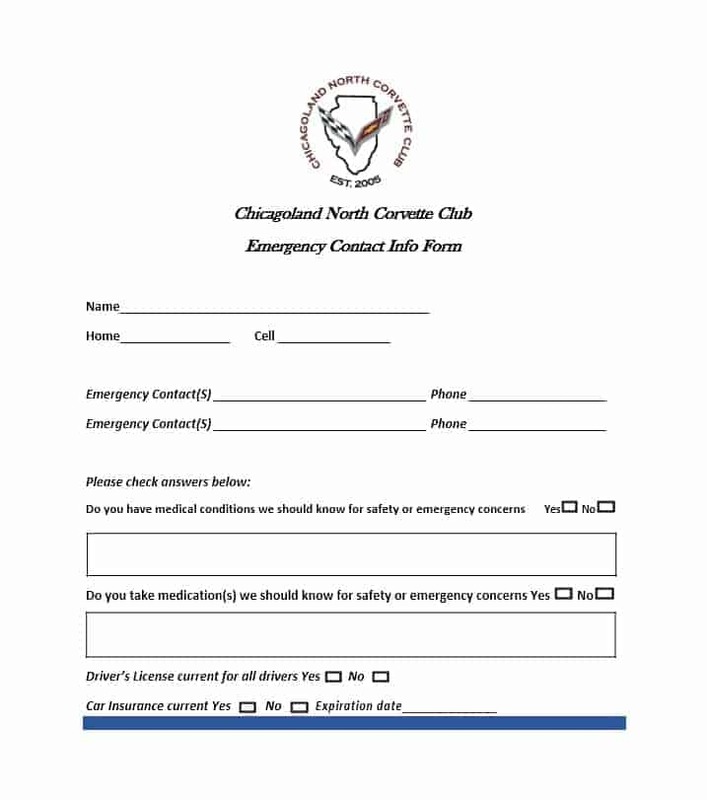 The only thing that is new is the ways of obtaining the emergency contact info. 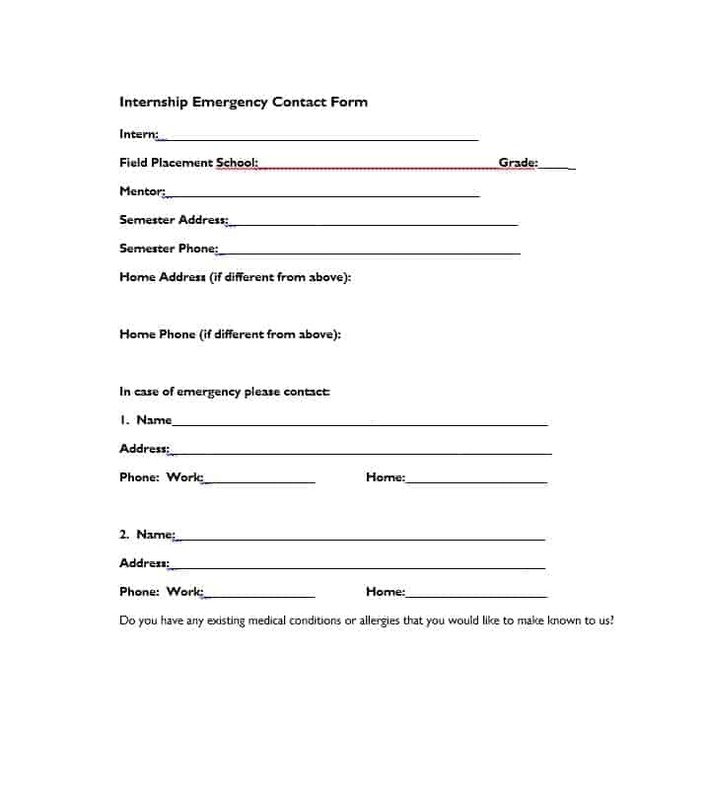 Today, the aforementioned information is obtained via a form. 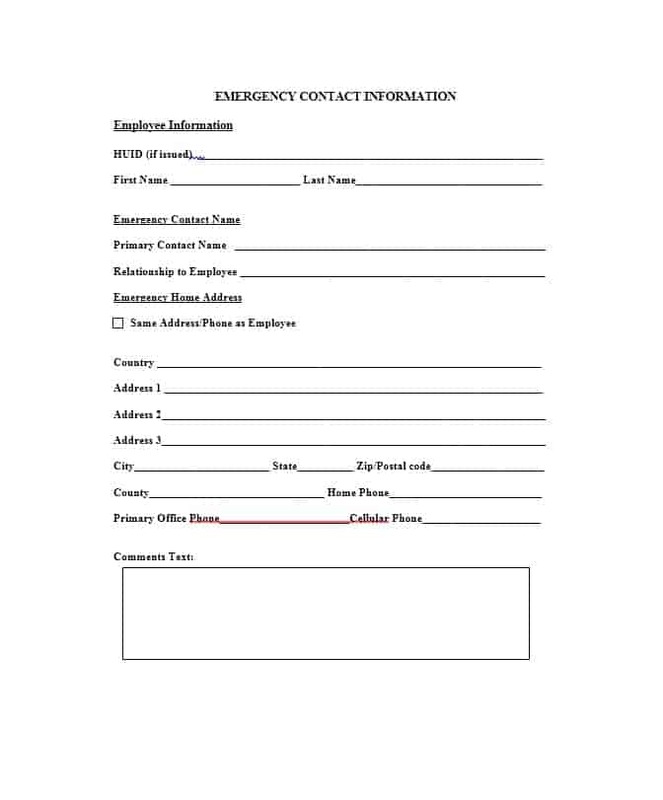 The forms used for aforementioned purpose typically include the name and phone number of the person the employee wants the organization to contact in case of an emergency. 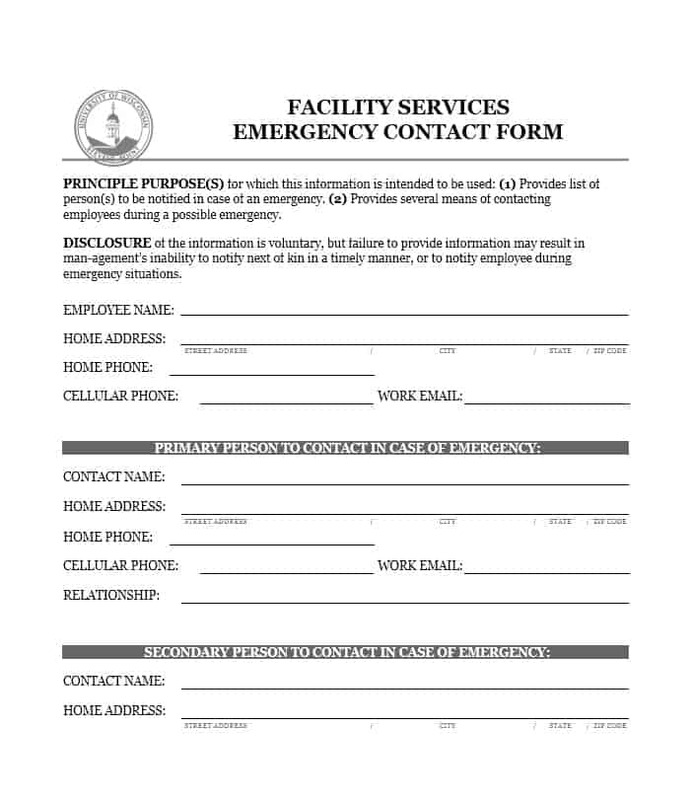 The purpose of the contact info provided by the employee is helping him/her in an emergency. 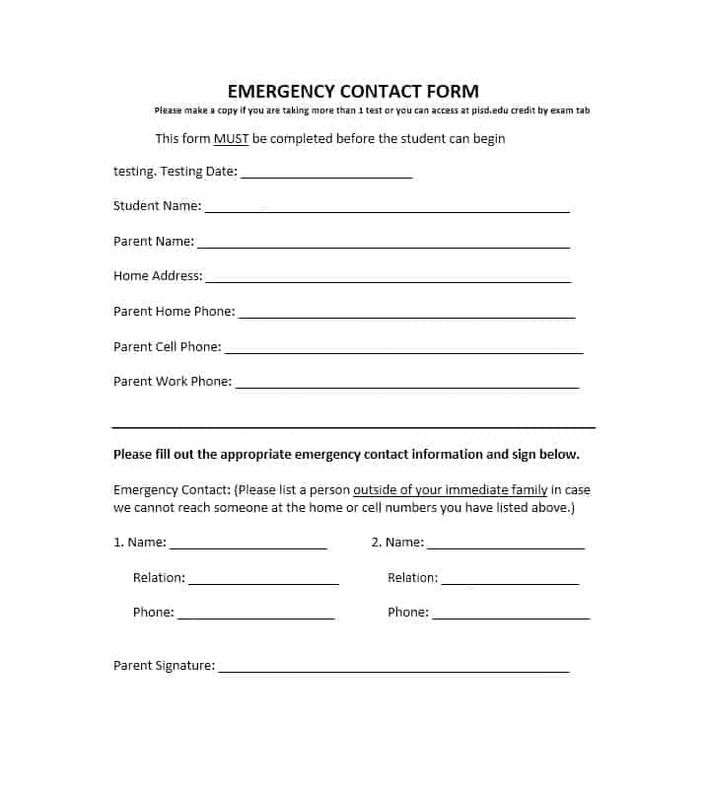 Talking about getting help in an emergency, you can ensure that your child gets medical treatment in an emergency by completing and signing a medical consent form that allows a third party such as your sibling, a babysitter or a daycare provider to get medical treatment for your child. 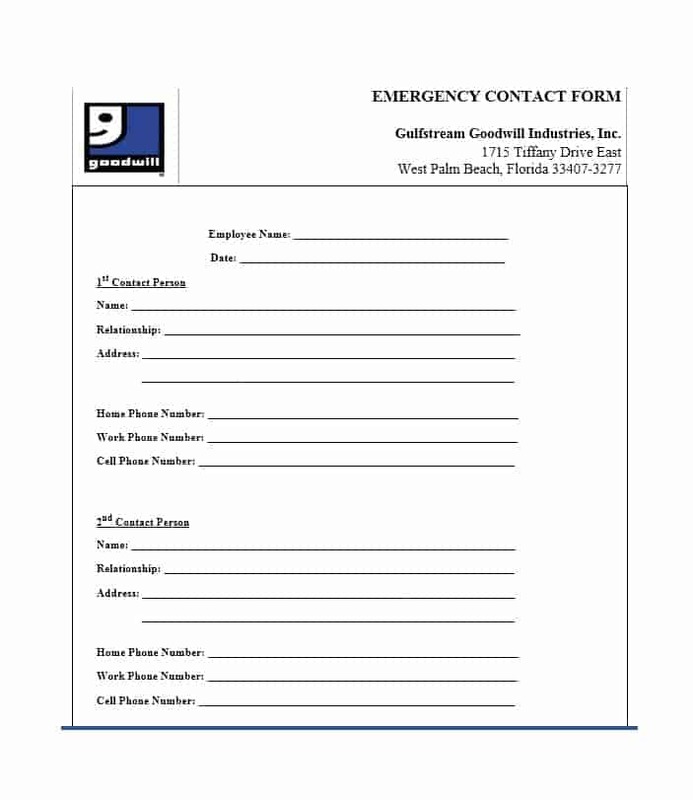 A useful information tool, an emergency contact form is used to get the name and contact info of the people to contact in case the employee suffers an emergency. 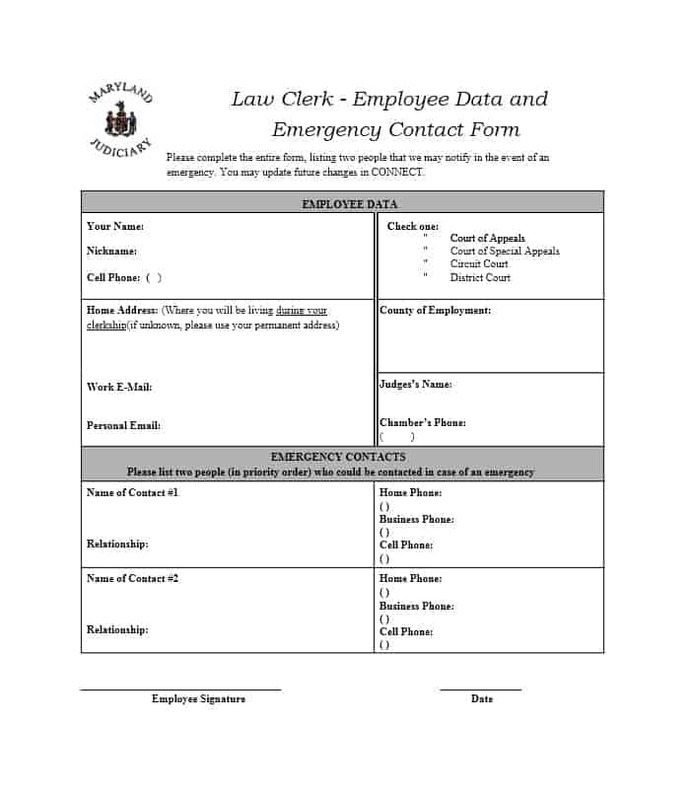 It is important that HR files the completed form in the medical file of the employee or a special emergency file in case the form seeks information beyond the name and phone number. 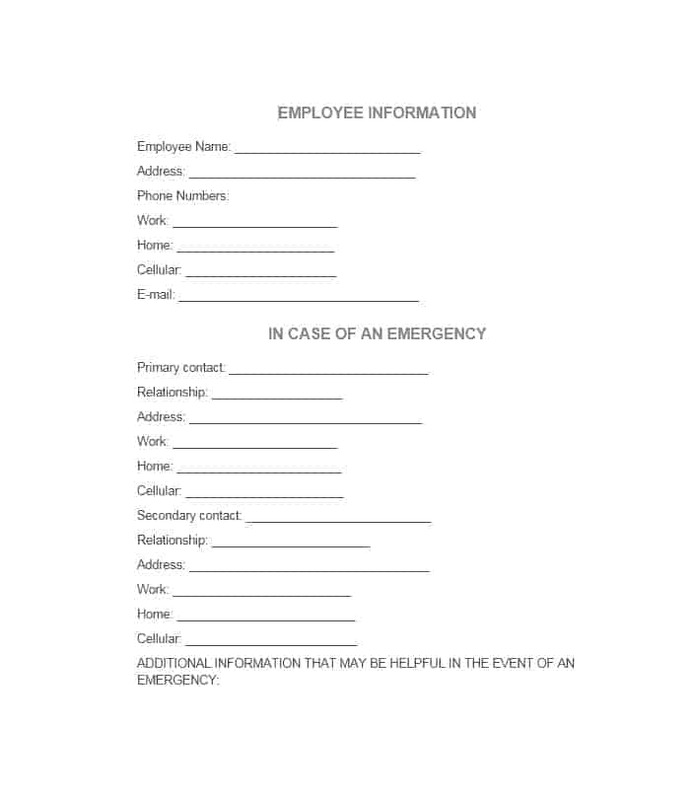 Also, it is important that only those who have a need for it are provided access to the employee’s emergency contact information. 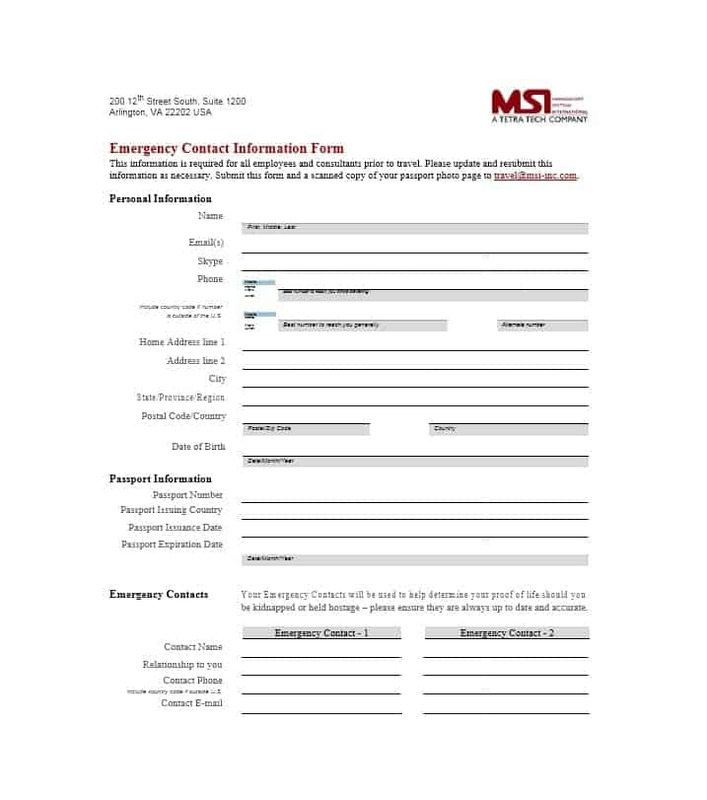 Now that you know the importance of an emergency contact form, it’s time to look at what this form should include. 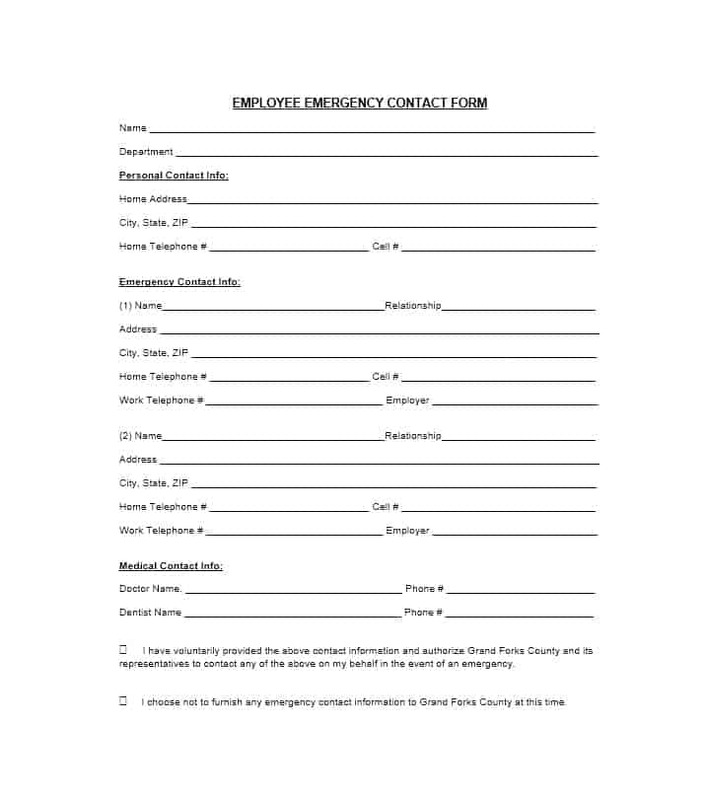 What should be included in an employee emergency contact form? 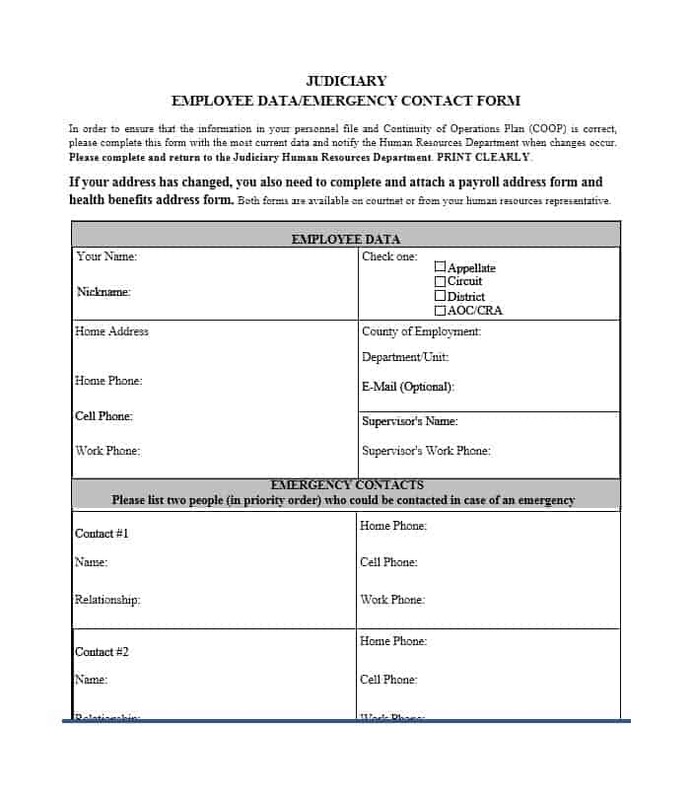 To find out what else is included in an employee emergency contact form, take a look at an emergency contact form template. 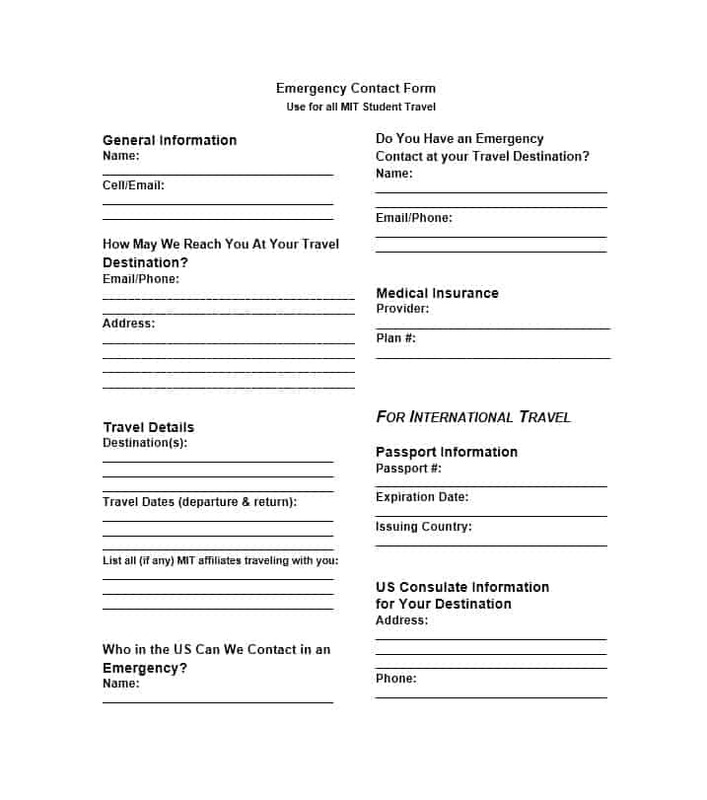 By providing the aforementioned information in your emergency form, you’ll ensure that you’re taken well care of in a medical emergency. This clearly shows the importance of giving your organization / educational institute access to your personal information. 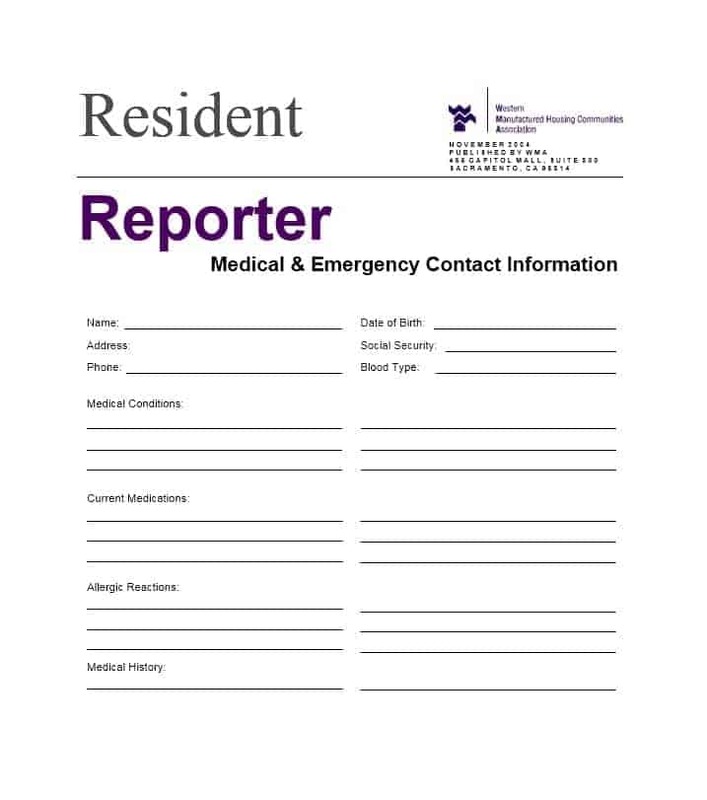 Talking about access to medical information, you can sign a medical release form to allow hospitals and other medical service providers to release confidential patient information to a third party. 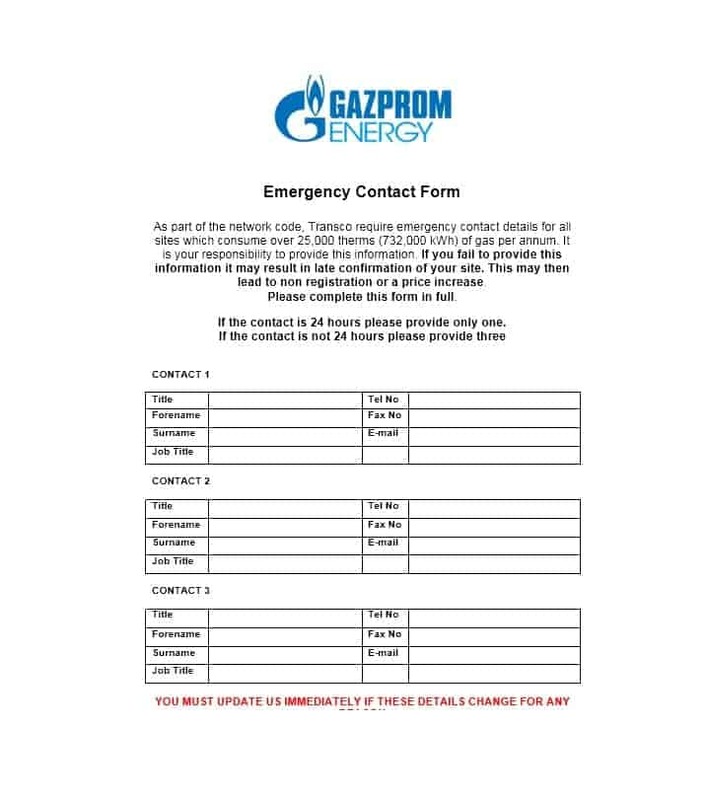 Now that you know what should be included in an emergency form, it’s time to look at how you can gather the information required to complete the form. To gather the information required to complete the form, the first and foremost thing you need to do is determining the information you’re going to need. Here’s how you can do this. First of all, grab a pencil or pen and jot down everything related to your health that you can think of. This includes your health history, your physician’s name, and contact info, past and current medications and information related to your health care providers. 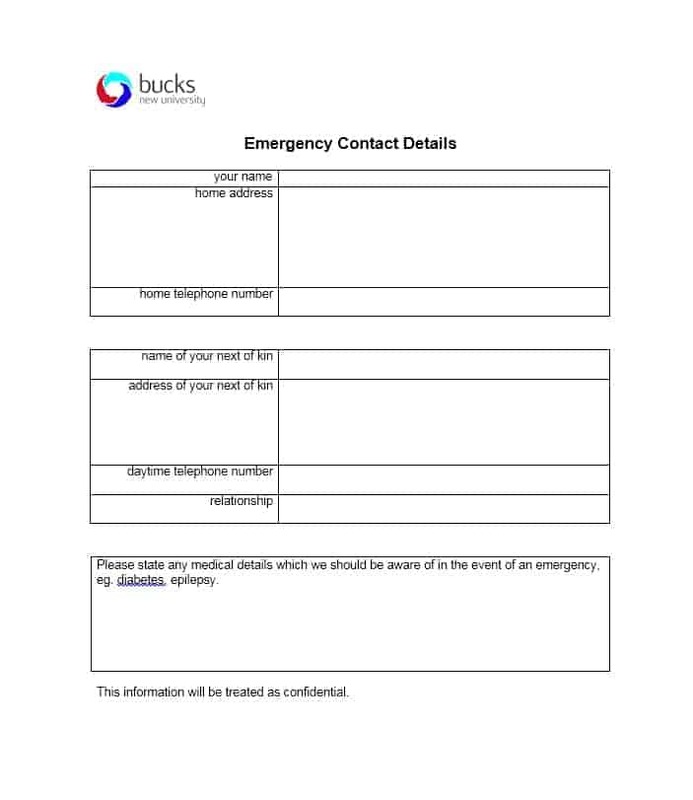 Now, one of the most important things that you need to decide when completing an emergency form is choosing your emergency contacts. Generally, you’ll need to provide the name and phone number of two people to contact in an emergency in the form. 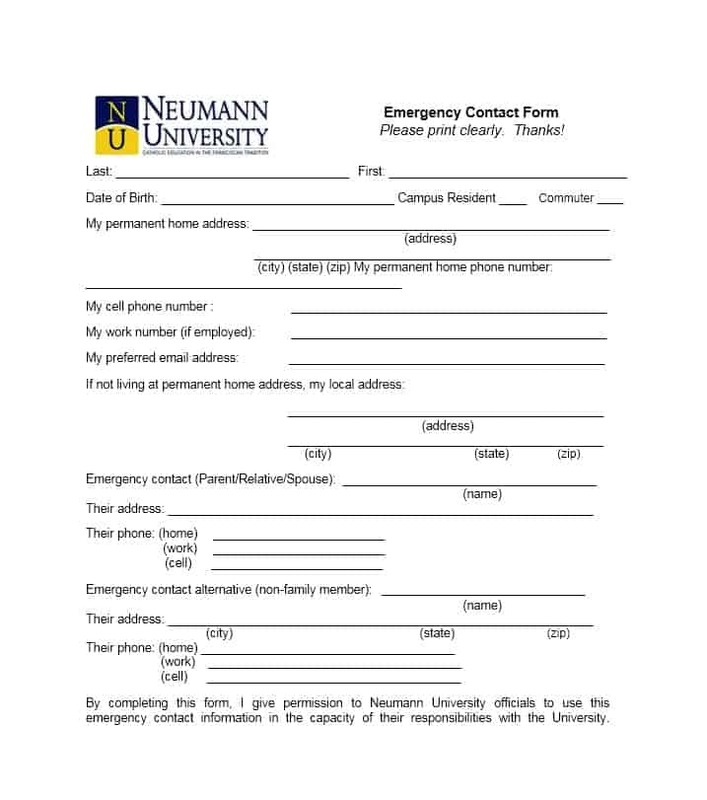 However, there are some emergency forms that ask you to provide three emergency contacts. 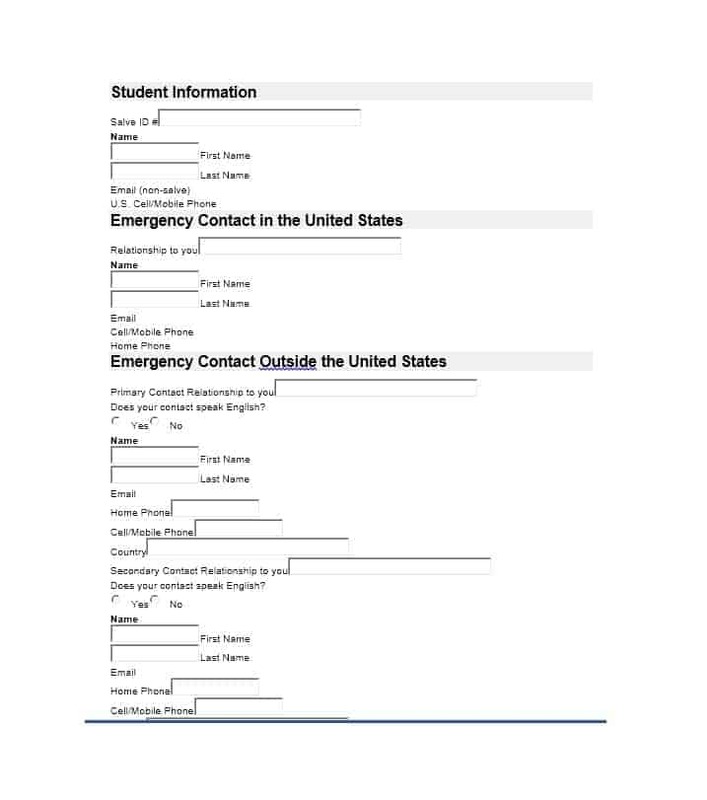 The form will have a main emergency contact, a 2nd contact, and a 3rd contact. 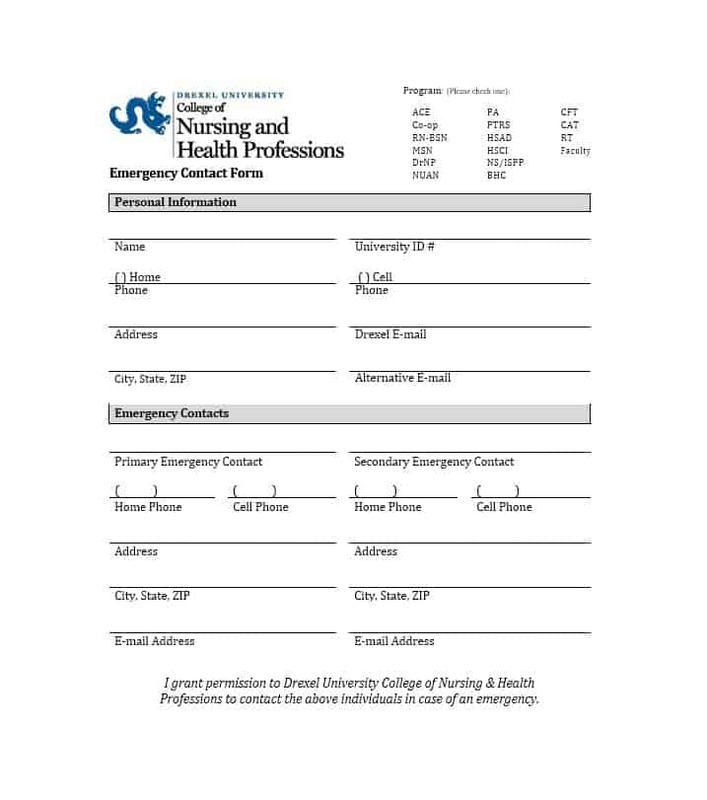 In case you suffer a medical emergency, the first person your organization will contact is the main emergency contact. 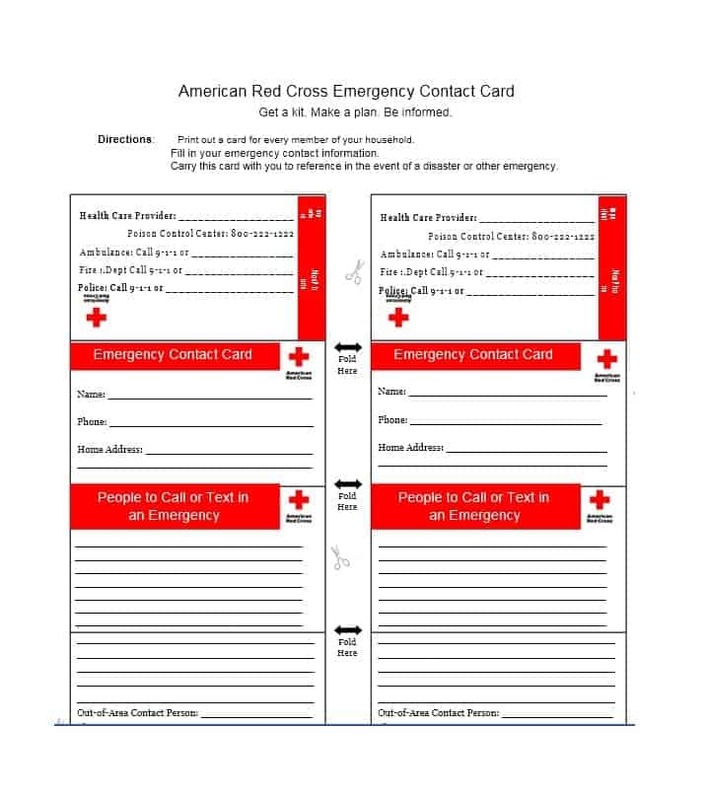 Usually, the main emergency contact is a person’s spouse or parent. The 2nd contact is a close relative or friend living in the same town/city while the 3rd contact is someone who doesn’t reside in the same town/city as the person but is a close friend/relative. To help you choose the right emergency contacts for yourself, we’re going to discuss who you should choose as your emergency contact. Who should you choose as your emergency contact? During your lifetime, you’ll be asked several times for an emergency contact. 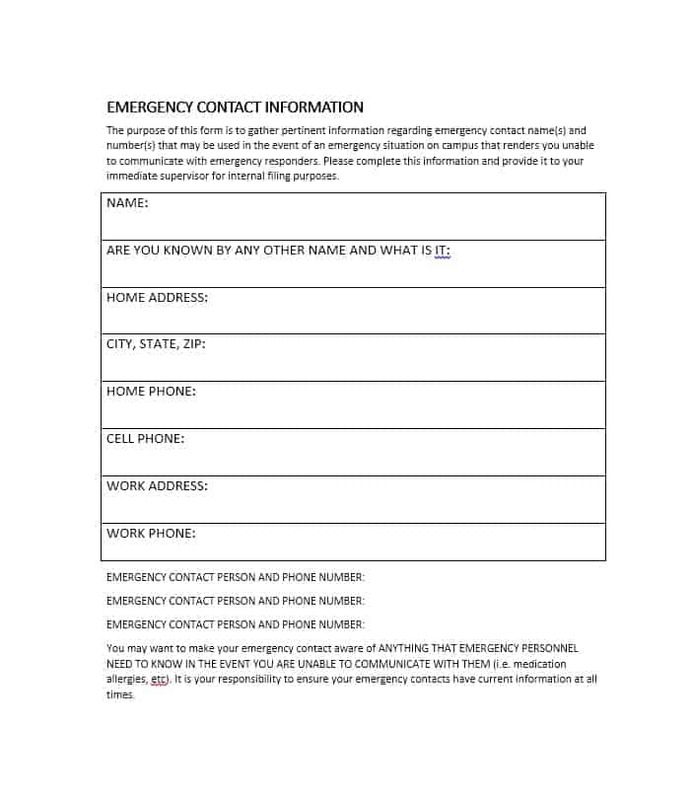 Whether it is a job application or an event participation form, providing information about emergency contacts is now a standard requirement. So who should you choose as your emergency contact? Let’s find out. Your first preference for an emergency contact should be someone who knows you well. This could be a close friend, an immediate family member, or even a trusted neighbor. Though this should not happen, most people have their parents as their default emergency contact. The reason for this is simple: parents are the people who know us best. However, having parents as the default emergency contacts isn’t always the best thing to do. There are some situations that parents, particularly older parents, may not react well to. An emergency is one such situation. 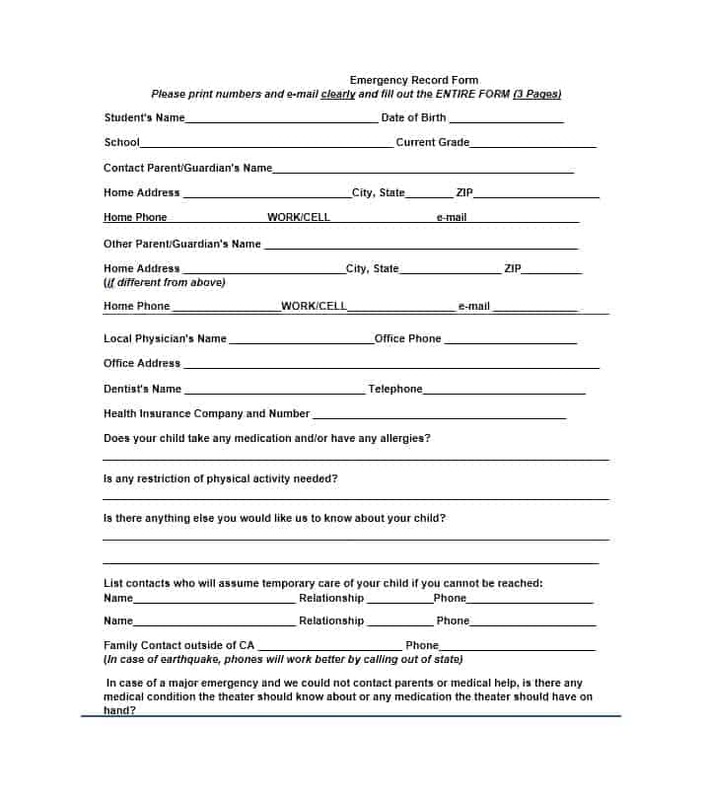 If your parents are mentally, physically, or emotionally incapable of handling an emergency, avoid naming them as your main emergency contact. However, if you want, you may make them your 2nd or 3rd contact. So, who should you choose as your main emergency contact? You should choose someone who knows you well, someone close to you who knows exactly what to do in case you suffer a medical emergency. This could be a sibling or your best friend. Whoever you choose as your main emergency, just make sure they know you, your medications, and your physician well. No, this does not mean that you should go around searching for an unemployed person. It’s simply means that the person you choose as your emergency contact should be present in the same town/city as yours. Also, make sure that the person you choose does not travel frequently. 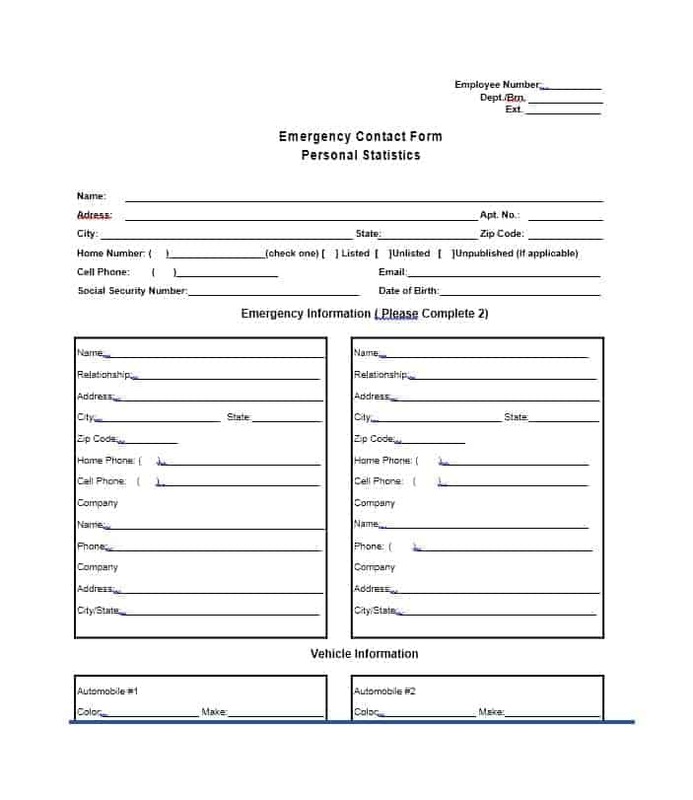 If you’ve already completed the emergency form, check if the person you’ve mentioned in the form is still in the city/town. 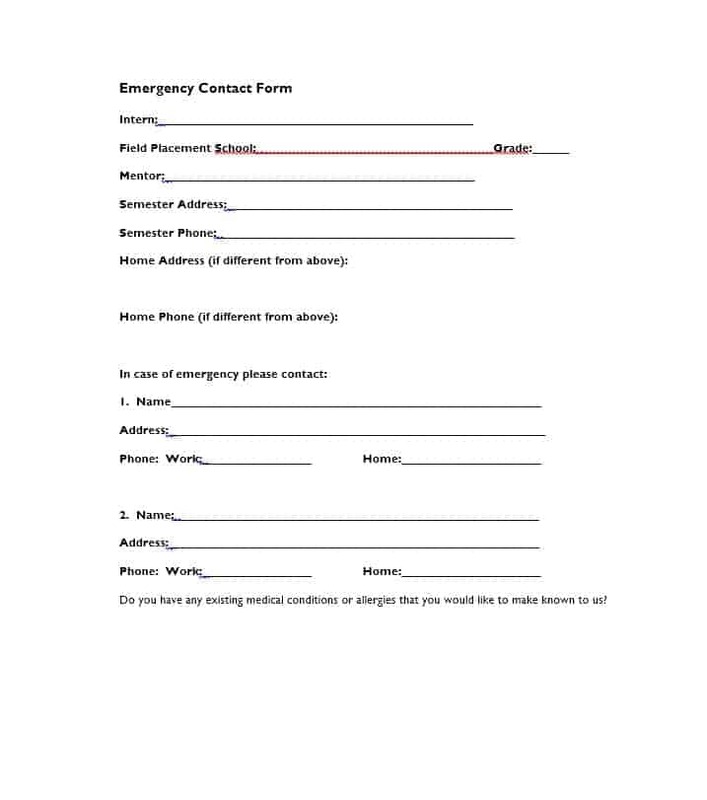 If the person has shifted to another town/city, update your form by replacing the aforementioned person with someone in your town/cit who’s mostly available. Choosing someone who’s available as your emergency contact is a sensible thing to do. Why? A person who’s available most of the times is likely to check messages on a regular basis and answer calls immediately. Choose someone as your emergency contact only after ensuring that they have the time and ability to meet another person’s emergency needs. When choosing an emergency contact, confidentiality is something that most people fail to consider. People you feel embarrassed to share your health problems with should never be your emergency contacts as often our health problems are of the private nature. Choose someone as your emergency contact only after ensuring that you can share your disease history, any addiction issues, and medications with him/her. 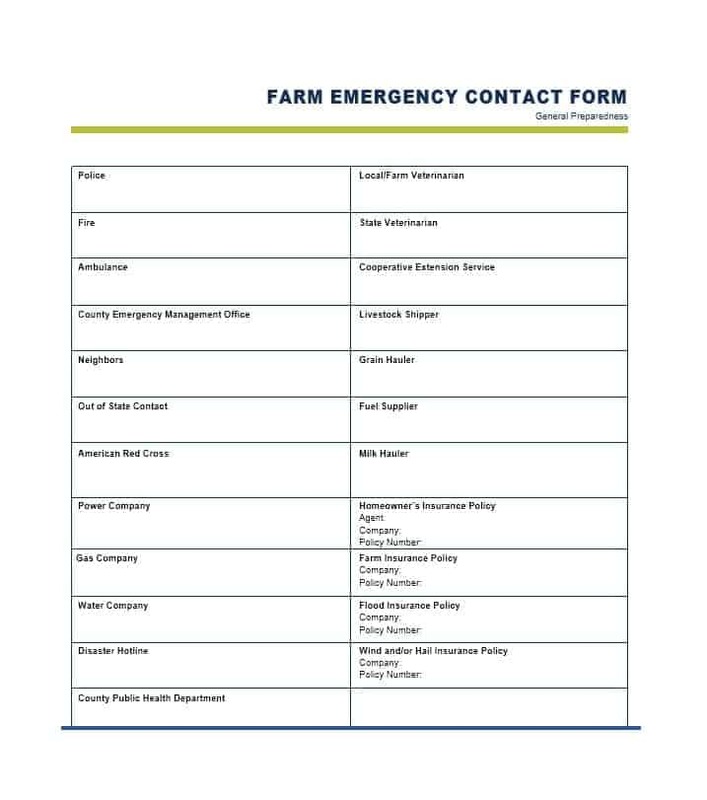 There are a few different types of emergency contact form. 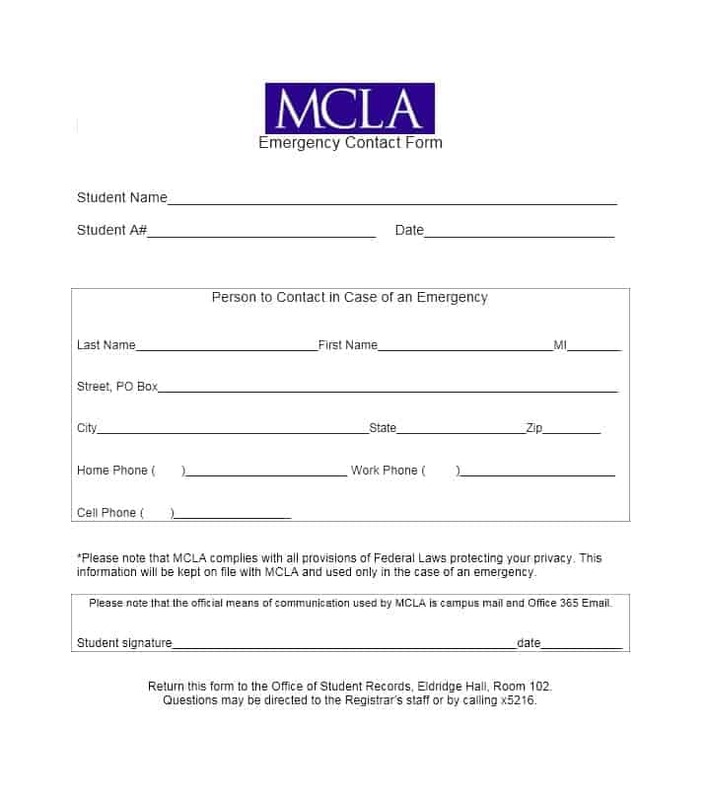 We’ve already discussed the emergency form used by organizations and educational institutes. 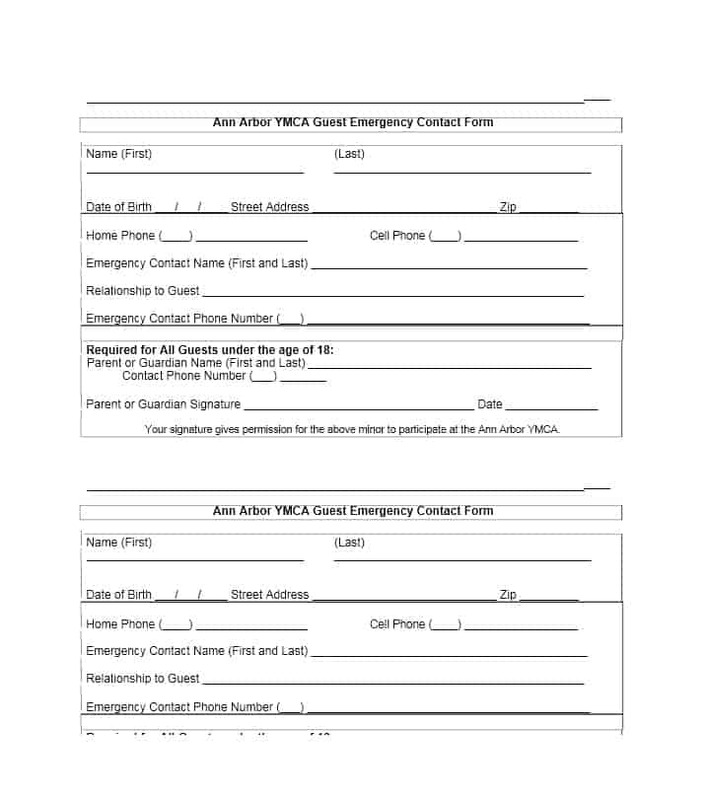 In addition to these forms, another common type of emergency form is the child emergency form. 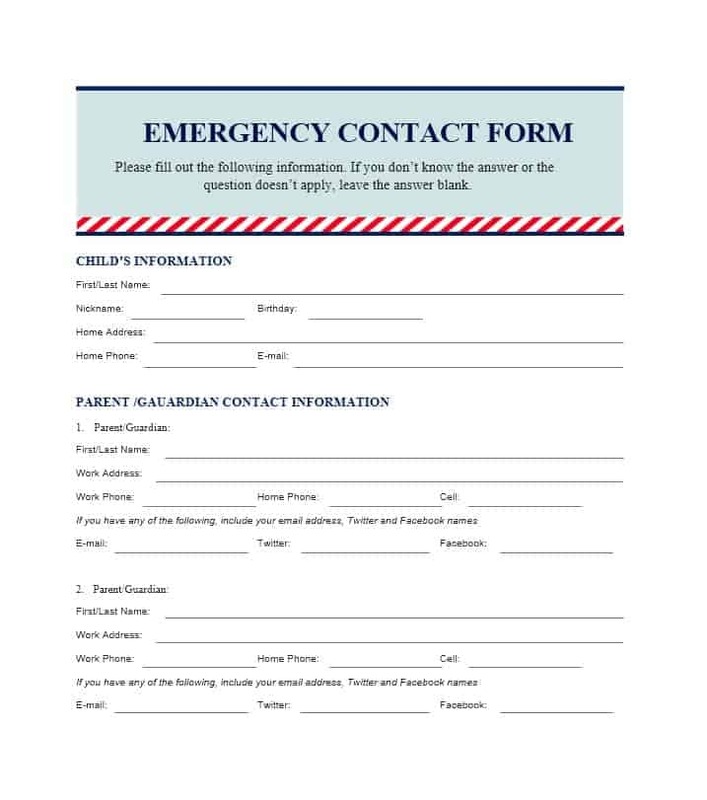 What is a child emergency form and what does it include? Let’s take a look. 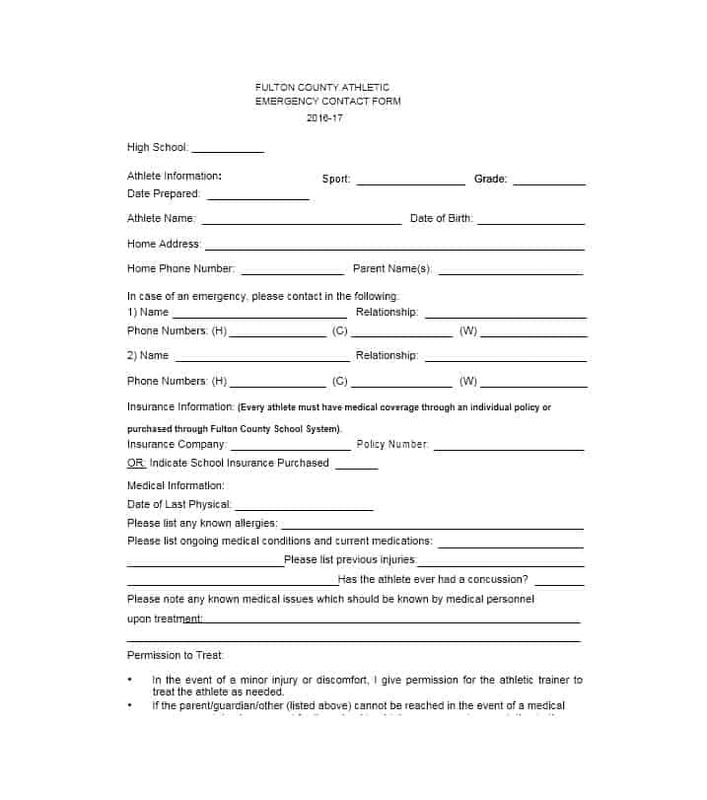 Along with a child medical consent form, a child emergency contact form is the most important medical form for your child. 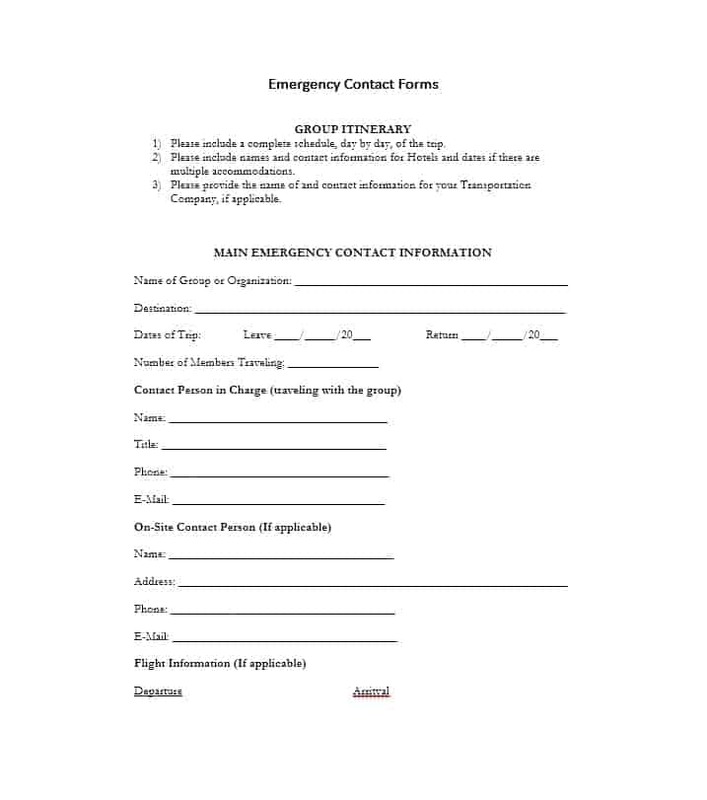 Therefore, you must complete and sign the aforementioned form to ensure its availability. 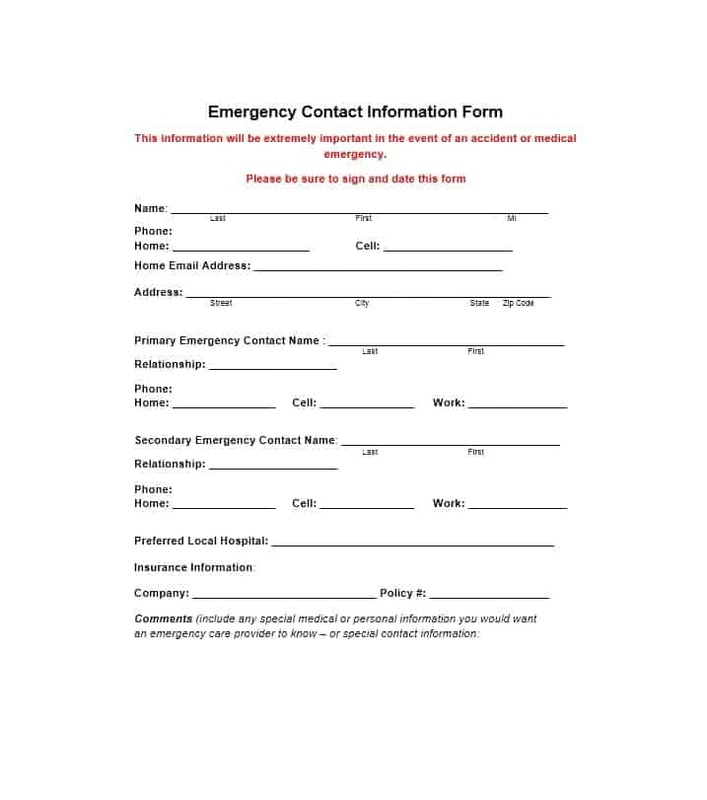 As mentioned earlier the purpose of this an emergency contact form is knowing who to contact in case someone suffers medical emergency. 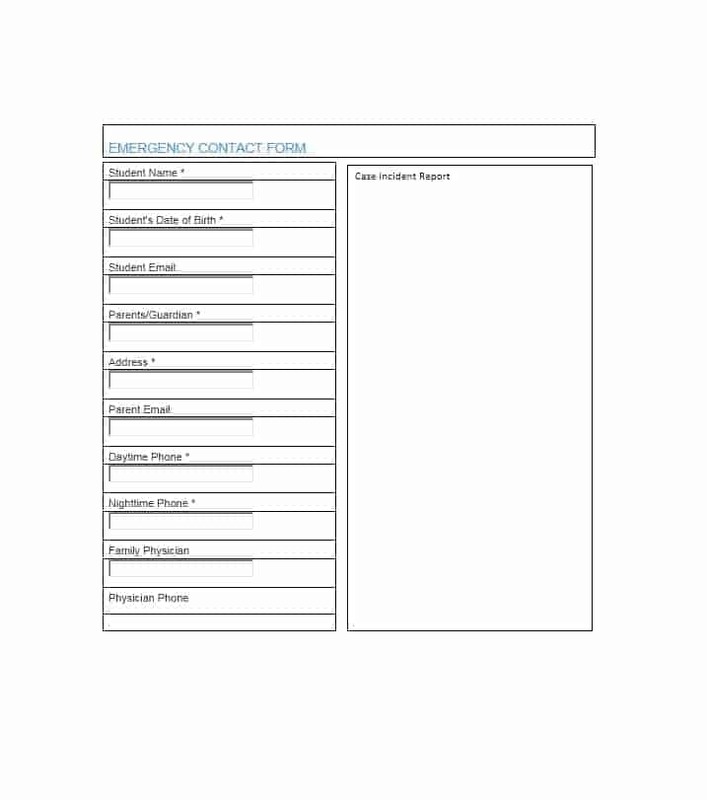 Organizations use an employee emergency contact form to ensure this. 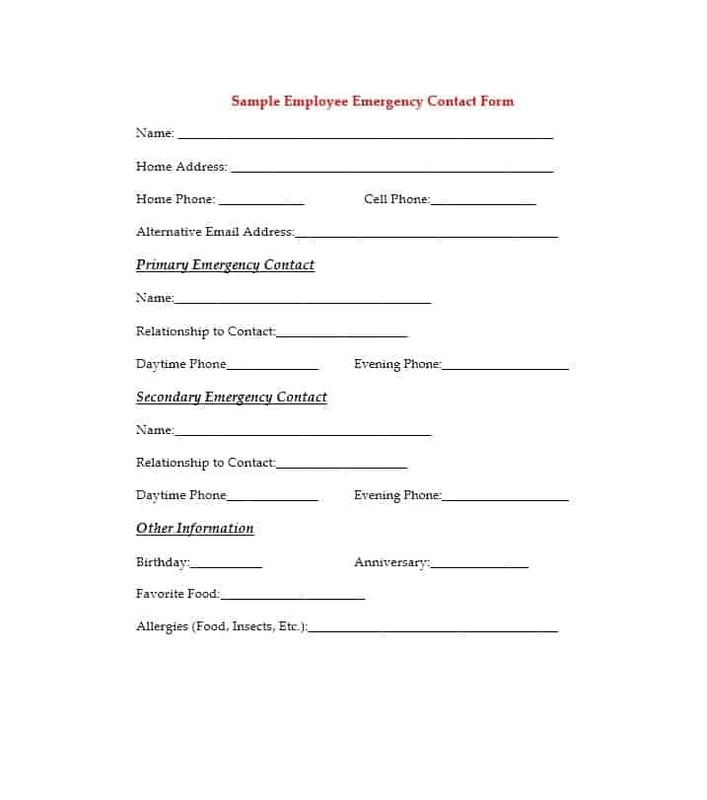 The form typically includes the name, phone number, and address of the employee along with the contact information of two people the organization is supposed to touch base with in case of an emergency. 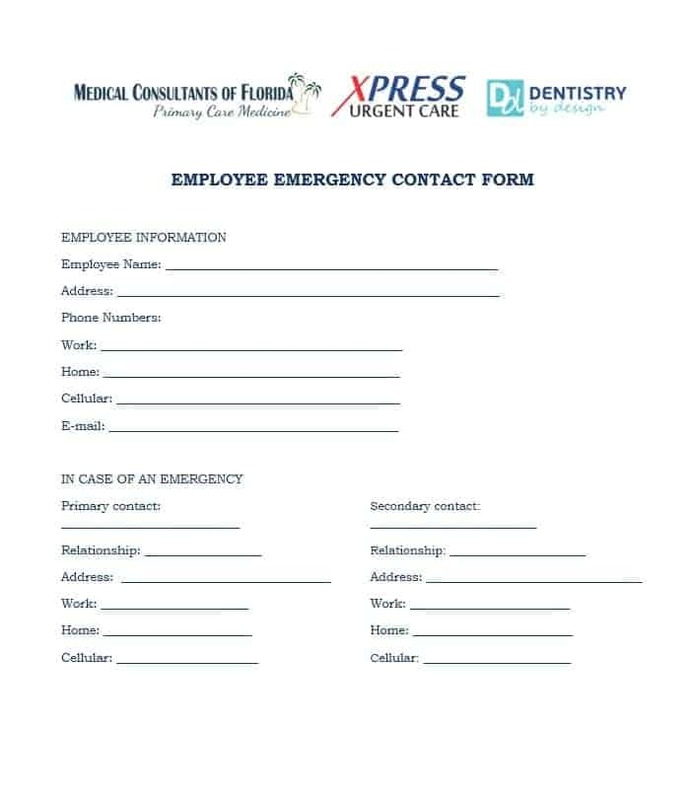 This allows the organization to contact the right people when the employee suffers a medical emergency. 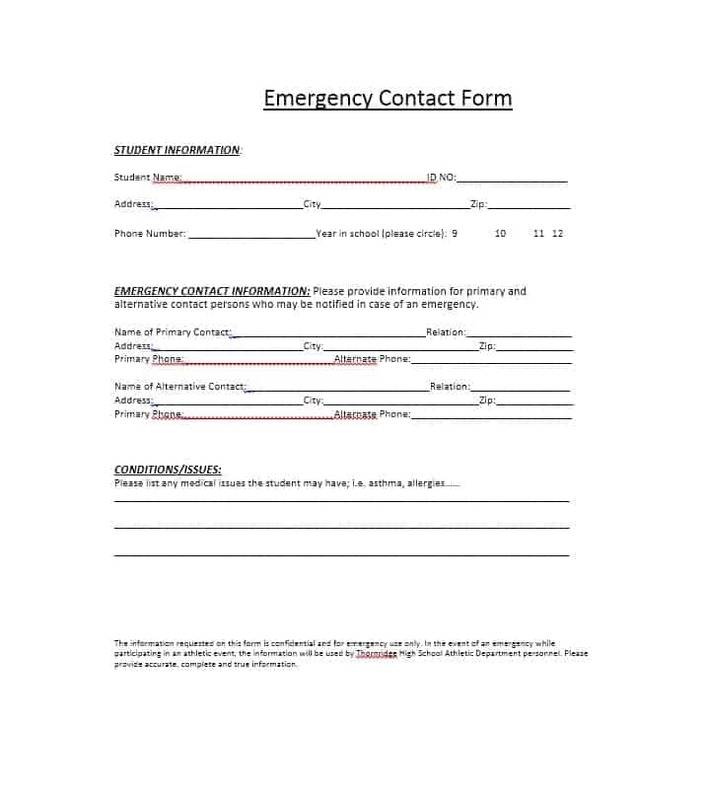 Most emergency contact forms feature a main emergency contact and a 2nd contact though some give the option of a 3rd contact as well. 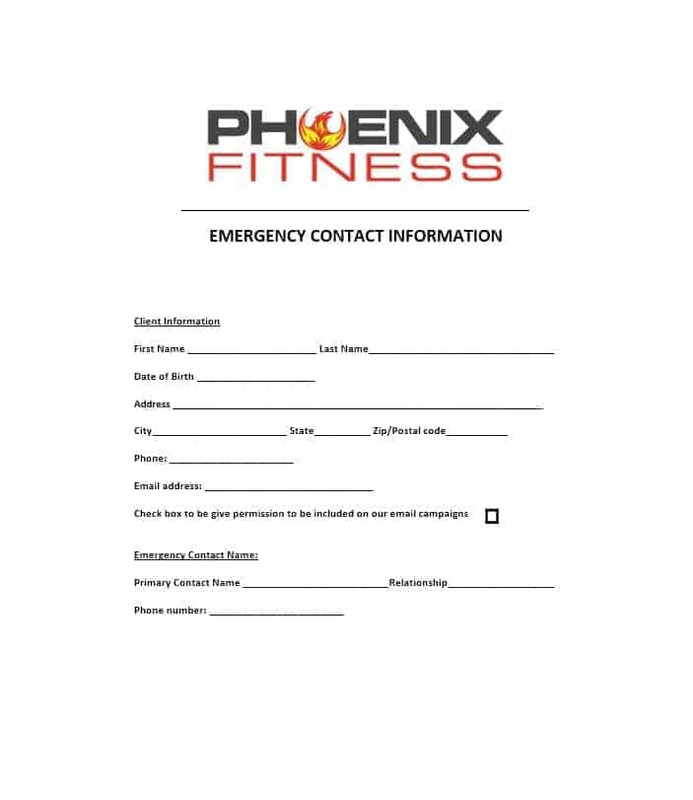 You may need to jot down the name, phone number, and address of your contact in every section of the form. 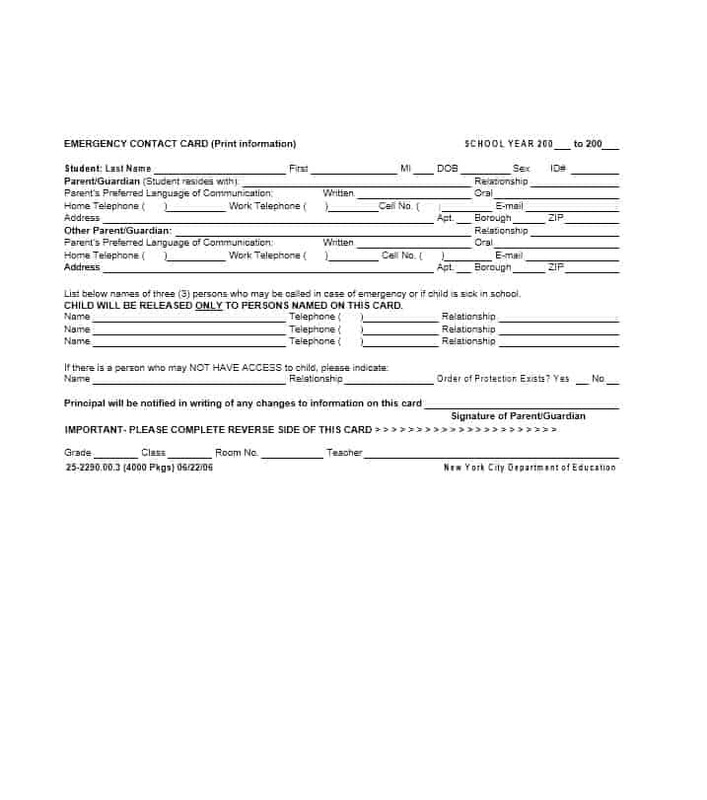 Also, you may be required to specify your relationship with the contact mentioned on the form. 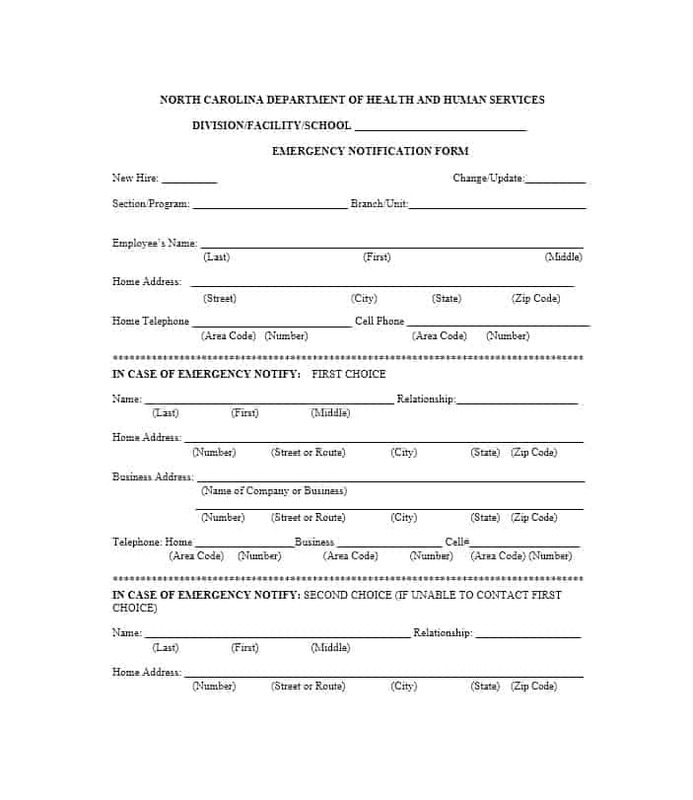 Moreover, there are some forms that allow you to specify your preferred medical facility in case of an emergency. 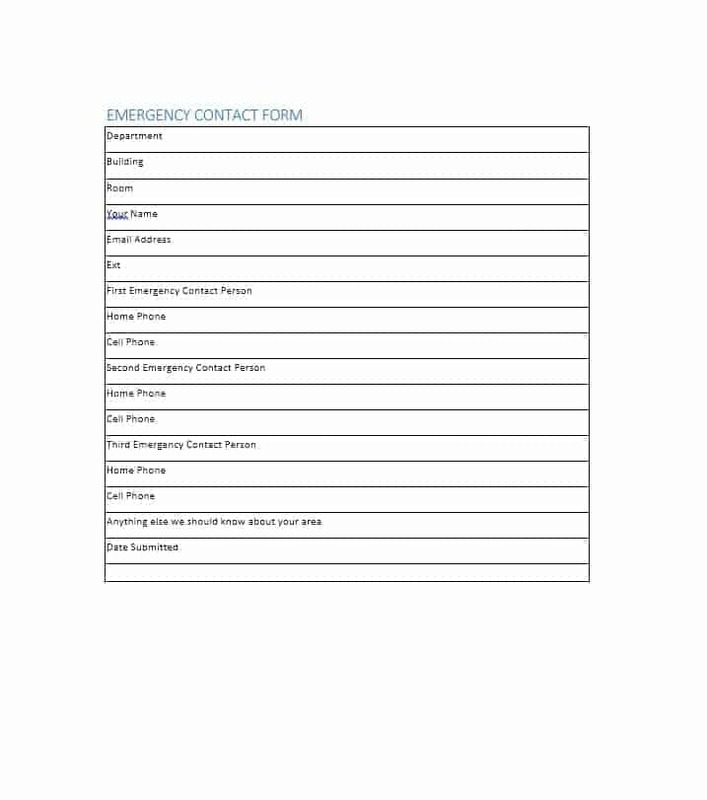 An emergency contact form is one of the most useful medical documents. 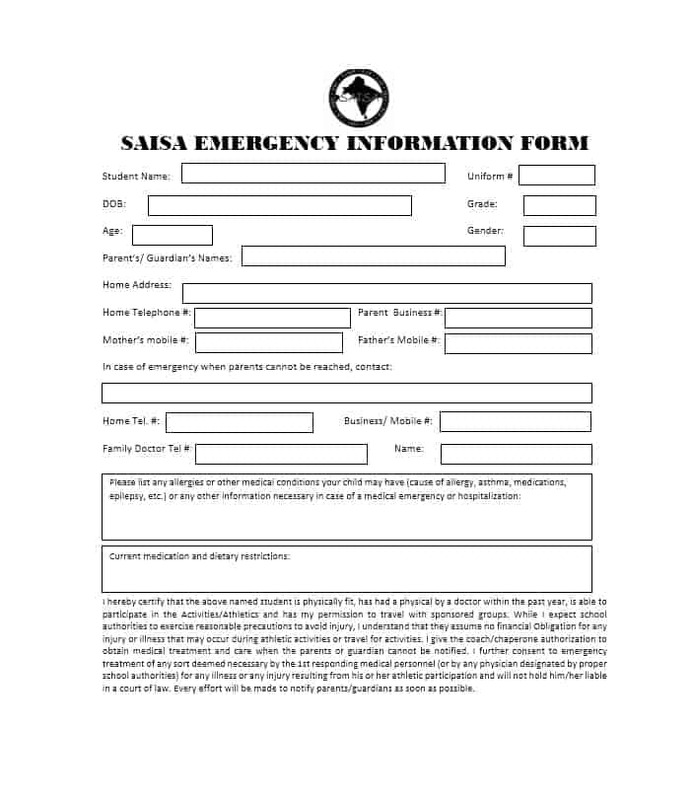 This form can save your life in case you suffer a medical emergency. 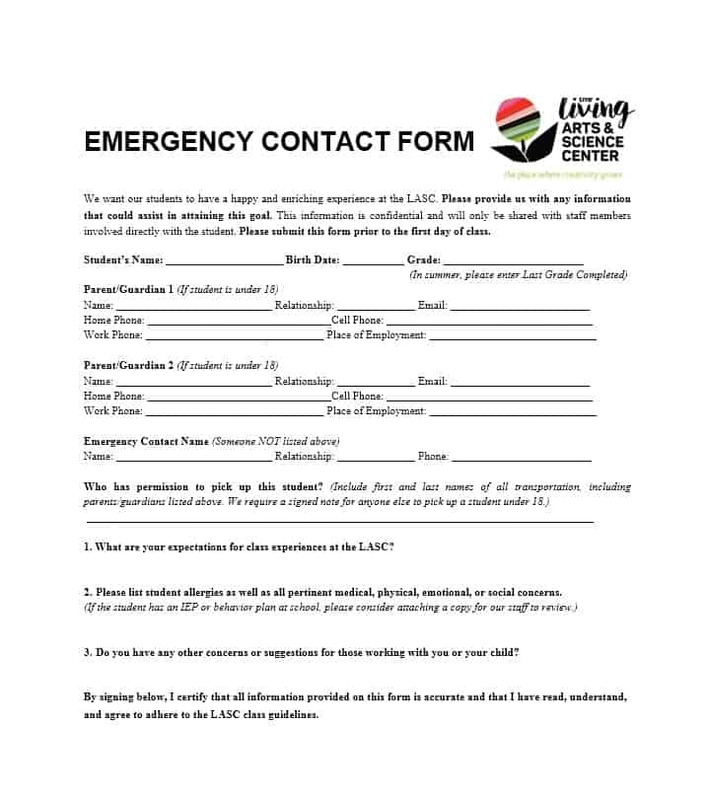 To know more about this form, you can take a look at an emergency contact form template. 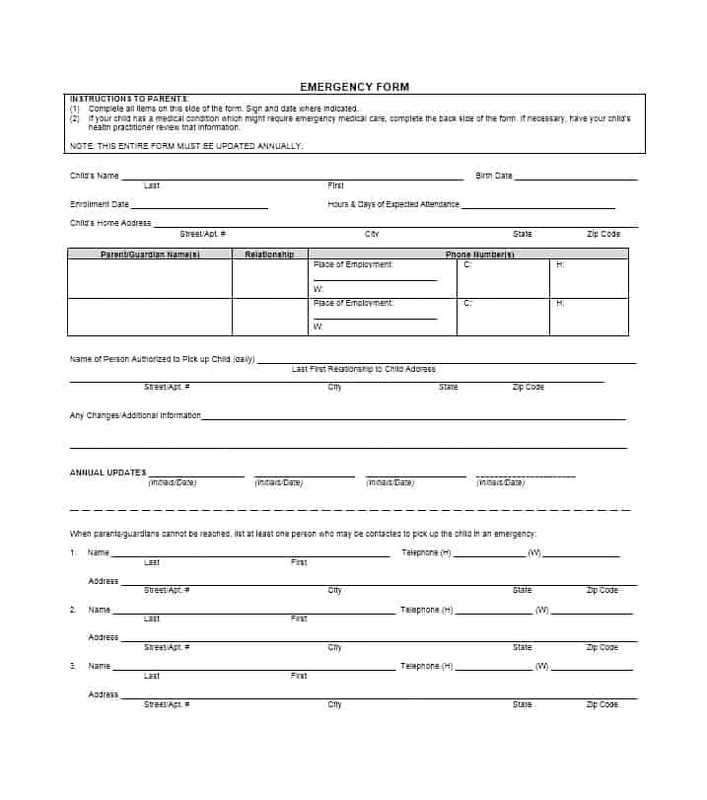 The template will reveal everything that you’d want to know about the emergency form.